No man is an island. How many times have we heard that before? Nobody can exist alone. It’s the same thing to our society. Nations work with other nations in making the world go round. From sharing the world’s resources (at a cost, though) to trading with one another, we all make allies to help the country provide everything it needs for all the citizens of the land and it is actually a never-ending process. Some nations will cease to work alongside a certain country for various reasons, though, and it may unnecessarily cause a strain that can impact the lives of those affected and affect the overall economy as well. Many changes are happening today in America under the leadership of President Trump. We know he has created one of the biggest empires in the U.S. but he has a lot to learn when it comes to politics and running the country for he is absolutely a total newbie. He can’t always just post his sentiments on Twitter and not give a care as to what its impact to the public will be given his position in the government. It’s even more important that he reflects on his actions and the policies he is supporting right now since he’s the one in command of the country and everyone else counts on him to do what’s right to make America great again. 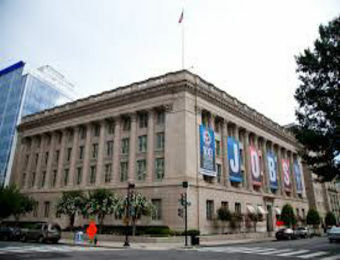 The U.S. Chamber of Commerce warned on Friday that the Trump administration was making “highly dangerous demands” in the North American Free Trade Agreement modernization talks that could erode U.S. business support and torpedo the negotiations. John Murphy, the chamber’s senior vice president for international policy, said the largest U.S. business lobby was urging the administration to drop some of its more controversial NAFTA proposals, including raising rules of origin thresholds to “extreme” levels. “We’re increasingly concerned about the state of play in negotiations,” Murphy told reporters. And President Trump’s potential pullout from the NAFTA will be a major blow to American businesses as many things will suffer if relationships with Canada and Mexico will be put to an end once the president decides to put an end to this agreement. While like any other agreement there is, the North American Free Trade Agreement is not perfect but it does not mean the president should totally abolish it for it can also mean a certain disaster. Perhaps a little tweaking can help but not necessarily put an end to it like what the president is suggesting right now because many businesses are not yet ready for it. America‘s biggest business group is warning the Trump administration that a withdrawal from the North American Free Trade Agreement would be a “political and economic debacle” that would cost hundreds of thousands of United States jobs. Talking with reporters Friday, John Murphy, a senior official with the US Chamber of Commerce, said the chamber would work to rally support for the trade deal and against the administration’s hard-line demand for concessions from Canada and Mexico. The comments were unusually blunt for America‘s biggest business group. The Trump administration, which has threatened to pull out of NAFTA if the three countries can’t agree on far-reaching changes to favour American interests, quickly returned fire. Of course, President Trump is only thinking about the country’s welfare and is perhaps the likely justification why he is making all those demands but he fails to realize that this is an agreement between three countries. Hence, it must somehow be beneficial for all and not to just one party. As a businessman, it should have been clear to him how these things work since you negotiate with others and strike up a deal. It is true that America is still one of the most powerful and influential nations in the world but it still needs to work side by side other nations especially when it comes to trade.